The Texas Legislative Black Caucus top four legislative priorities for the 86th Legislative Session are healthcare, public education, criminal justice reforms and economic empowerment. 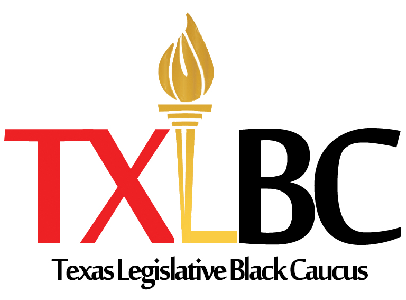 The Texas Legislative Black Caucus (TLBC) currently composed of 17 Members of the Texas House of Representatives and two Senators of the Texas Senate committed to addressing the issues African Americans face across the State of Texas. Rep. Harold Dutton (Houston) currently serves as Chair for the 86th Texas Legislative Session. Our goal at the TLBC is to implement policies that will provide our communities with resources for economic growth and to act as the liaison between politicians and our constituents. Providing solutions to reform school finance to adequately fund our public schools. Restrict and eliminate unnecessary and unreasonable discretionary discipline and policing practices in schools. Closing the academic performance gap between African American boys and their counterparts (racial and gender). Addressing the disparities with African American woman impacted by maternal mortality. Supporting legislation to address mental health and increase funding for quality mental healthcare through the state. Supporting legislation for bail reform. Promoting legislation to ban the box. Supporting legislation to end racial profiling by law enforcement officials. Supporting legislation to raise the age of criminal responsibility from 17 to 18. Supporting legislation to reduce the criminal penalties to Class C Misdemeanor for small amount of marijuana. Supporting legislation to reimplement the Project RIO.